A recent survey of IEEE engineers reveals some interesting insights into the Internet of Things (IoT)—both challenges and expectations. Commissioned by Northeastern University Silicon Valley, the survey asked the engineers to answer nine questions about IoT development and deployment. Some of the answers might surprise you. While still in its infancy, the IoT is poised to change our lives in very personal and meaningful ways. The visionaries are already asking if robots will someday replace soldiers, if guns will be traded for cyber-bots, and if artificial intelligence (AI) will change the way we live our daily lives. The audience for the survey was a group of 500 IEEE members—all in fields associated with IoT or working in IoT itself. Their areas of expertise varied from manufacturing (nearly 40% of the participants) to project management (only .19%). The areas in which the engineers work range from engineering to sales. Q3: Why are businesses investing in IoT? Least surprising was the question of why businesses are investing in IoT. Competitive advantage topped the list with 54.87% of the votes, with increased efficiencies running 30.71%. Market share growth (8.43%), cost savings (5.62%), and other (.37%) trailed behind. Most surprising was the career strengths that the engineers thought most relevant to the success of IoT. Communication topped this category with a whopping 58.82% of the votes—more than deep industry knowledge or collaboration. This vote seems to indicate that being able to explain the technology’s use or operations was seen to be a key factor in its success. The challenges to IoT adoption suggest a focus on security concerns and determining how the technology will integrate and be managed. The biggest challenge for adoption of IoT was data aggregation. At 37.8%, it outweighed employee skills levels and security concerns. The next and also significant issue was the skill level of employees suggesting that significant training might be required for IoT to be successfully deployed. For the industries most likely to be early adopters of IoT technology, the ranking was not surprising. It featured Defense/Military at the top, followed by Security/Access Control. Then came Healthcare, Manufacturing/Operations, and Pharmaceutical/Biotech. In descending order after those categories were Transportation/Logistics, Food and Beverage, and Oil and Gas. Agricultural, Retail, and Environmental fell to the bottom. The most evenly split question dealt with the platform that the engineers planned on using. Of the 12 platforms listed, GE Predix at the top got 18.01% of the vote, and the least went to Machineshop at .56%. 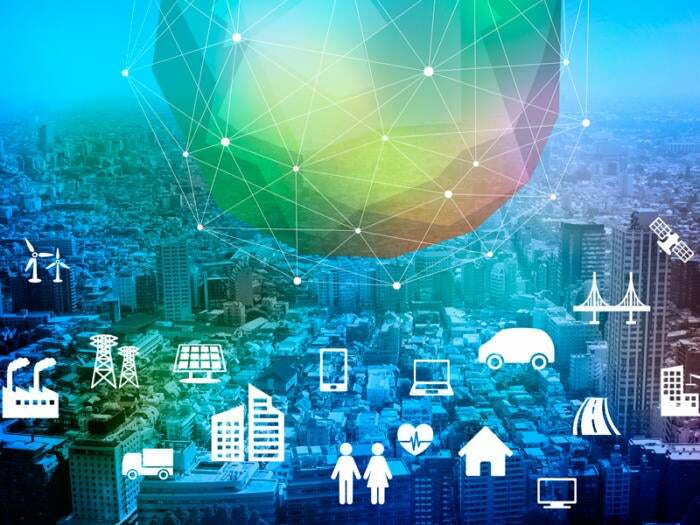 An area of great interest to many of us is what areas are hot for IoT-focused positions. Anyone considering jumping into this exciting, and still very new, field of technology might be interested in this breakdown. Q5: What are the hot areas in IoT? System design took a clear and understandable lead for this question followed closely by networks and protocols, and data analytics. While it's pretty clear that the respondents were allowed to check multiple answers, we can see that the main emphasis from their points of view revolved around design, manufacturing, and networking. Q7: Which technical skills are you interested in acquiring? A related question asked about the technical skills that the subjects were interested in acquiring related to IoT. Once again, there's a good spread of replies with significant dominance in several areas—particularly design and integration, data communications, and cloud management. The field of IoT is growing rapidly. Some say we might have 50 billion connected devices by 2025. New technical roles are emerging. New skills need to be developed. The results of this survey only hint at the possibilities. IoT is coming at us at an every-increasing pace, and those working in the field are still exploring the possibilities.